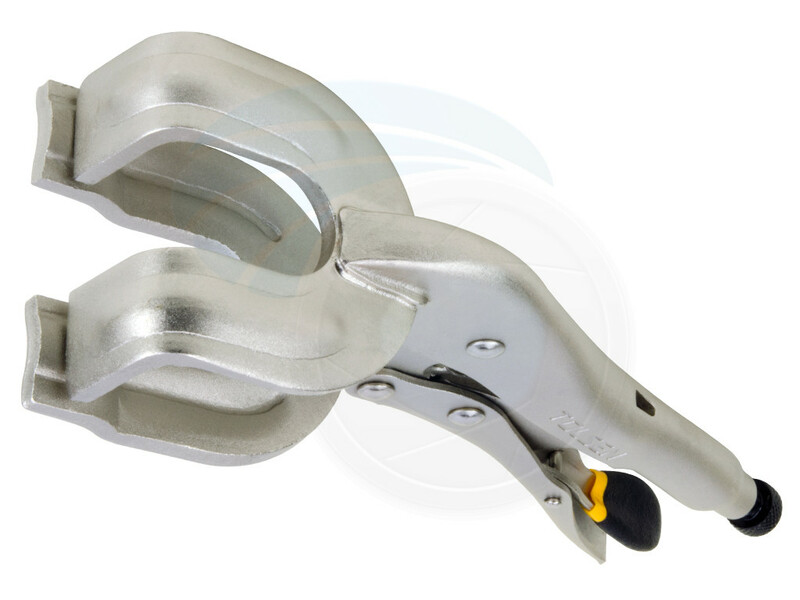 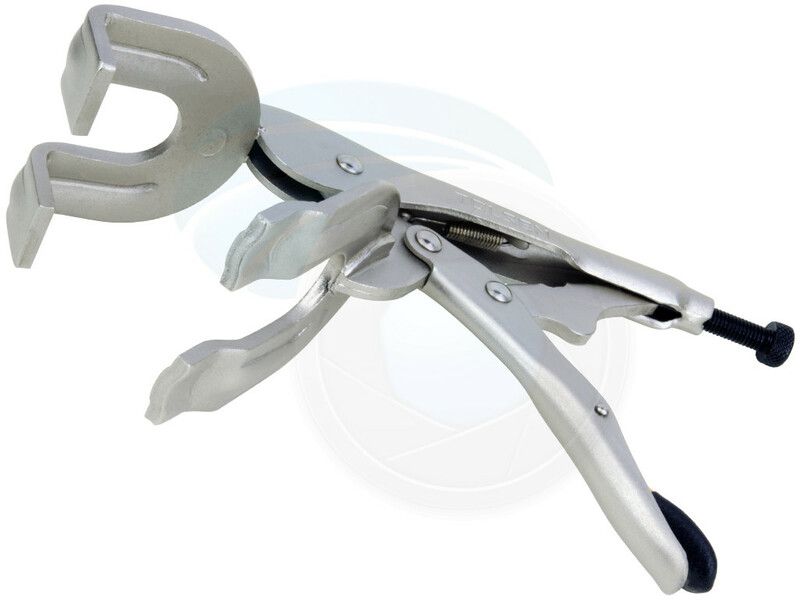 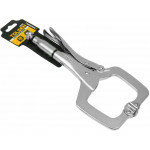 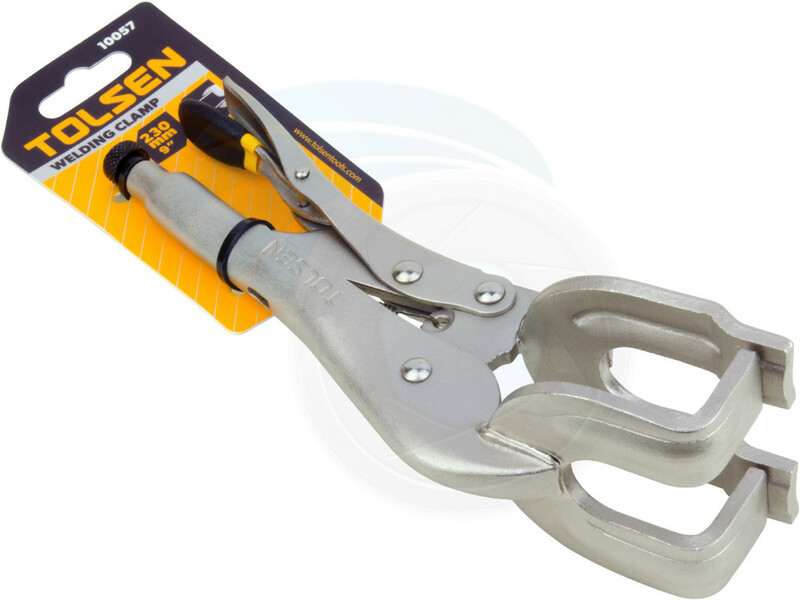 Use this Tolsen welding clamp locking pliers as a temporary clamping mechanism. 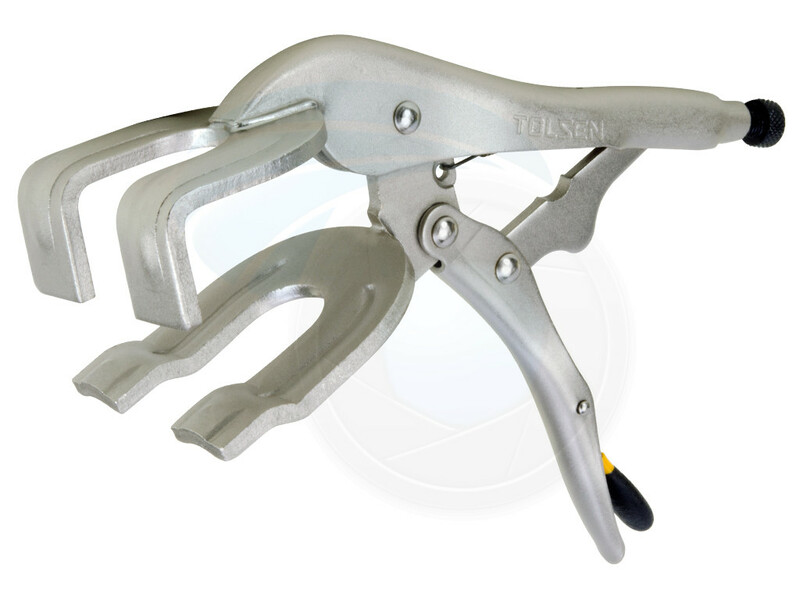 Great tool for spot welding pipes, panels and other odd shaped objects. 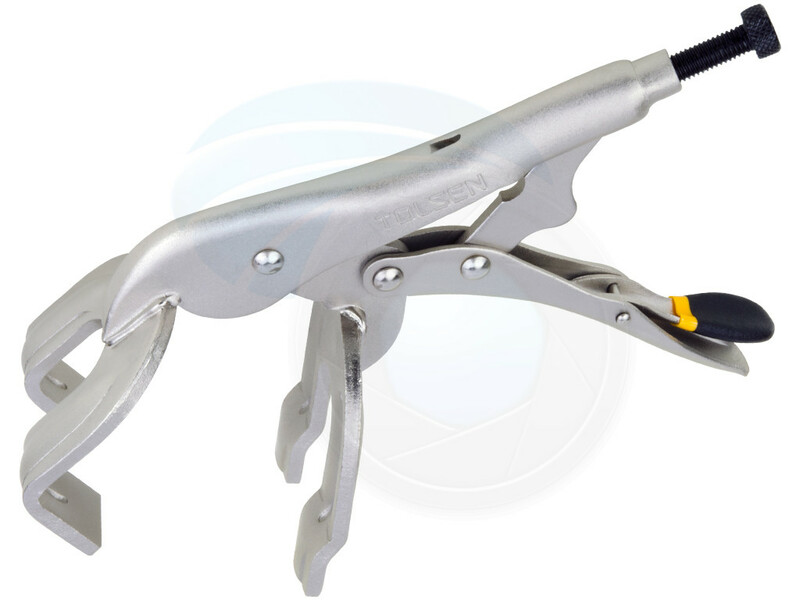 Clamp pliers will hold it in place while you're working on it. 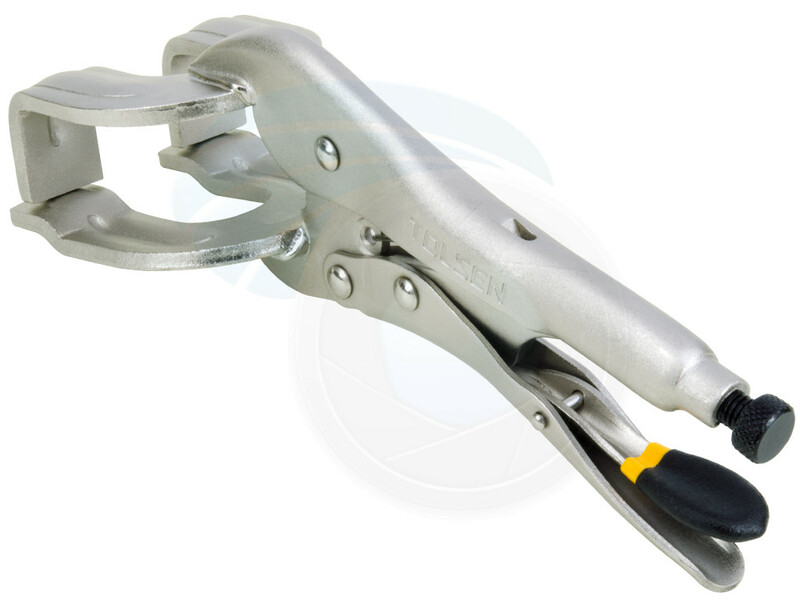 Use the pliers to hold something that you can't safely hold by hand, such as an item being welded. 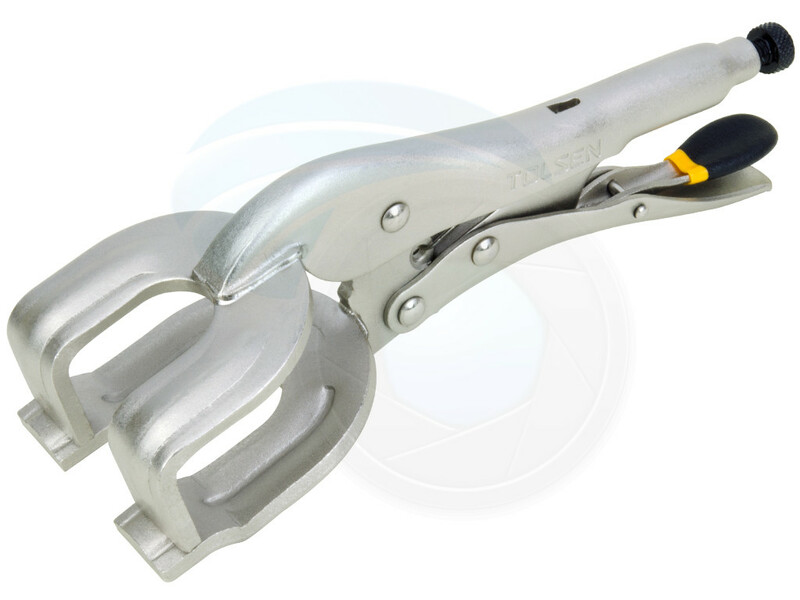 The U shaped jaws allow to work around the joint seem while holding both objects close to each other. 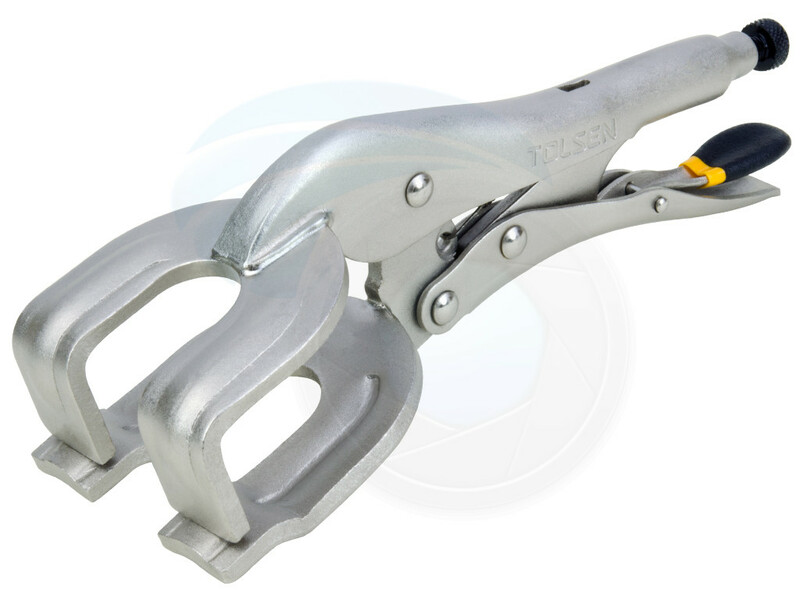 Perfect tool for most welders and machine shops. 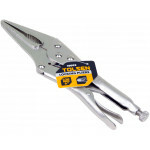 Tolsen professional long needle nose pliers are constructed from hardened forged steel and are nicke..
Tolsen C-Clip locking pliers are constructed from hardened chrome vanadium steel and are nickel plat..
Harden professional long needle nose pliers are constructed from hardened forged steel and are nicke.. 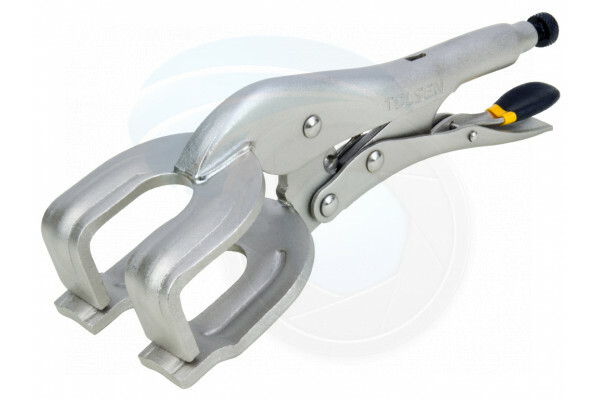 Prevent slipping or misalignment of parts while cutting, fastening, assembling, riveting, or welding..